Apple software engineering chief Craig Federighi has revealed that a popular 3D Touch gesture for accessing the App Switcher will apparently return in a future update to iOS 11. Federighi, replying to an email from MacRumors reader Adam Zahn, said Apple had to "temporarily drop support" for the gesture due to an unidentified "technical constraint." On devices that support 3D Touch running iOS 9 or iOS 10, users can press deeply on the left side of the screen, drag to the right, and release to quickly access the App Switcher. The gesture stopped working in the iOS 11 beta, and an Apple engineer later confirmed it was "intentionally removed." MacRumors has verified this email exchange passed through mail servers with an IP address range linked to Apple's headquarters in Cupertino, California. Coupled with the fact Federighi has been replying to several customer emails since the iPhone X event last week, we're fairly confident in its accuracy. 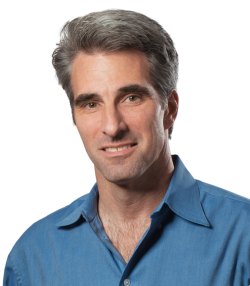 Federighi replies have also revealed that Face ID will work with most sunglasses and that Apple has considered a Nightstand mode for iPhone X. Hope you can toggle it off. Hated it. Wouldn’t work when I wanted it to and always activated when I’d be swiping to go back. How hard were you swiping when going back? Because it actually requires pressure exerted just on the edge. This would mean when you initiate a swipe you'd actually be pausing on the edge and applying pressure before continuing the swipe motion. A fluid swipe without pressure would solve this issue for you. Why? Be specific, outlining his credentials and suitability. He's doing a really good job as SVP Software. But that is far different than being a CEO of a company the size of Apple..
Huh, I wonder what the “constraint” was. But will the ability to swipe down for notifications when using the reachability feature make a return? Bring back the wifi toggle! Great news. Please bring also back a real wifi toggle to the control center. After that iOS 11 will be complete. I don't really get why people get so annoyed about this.